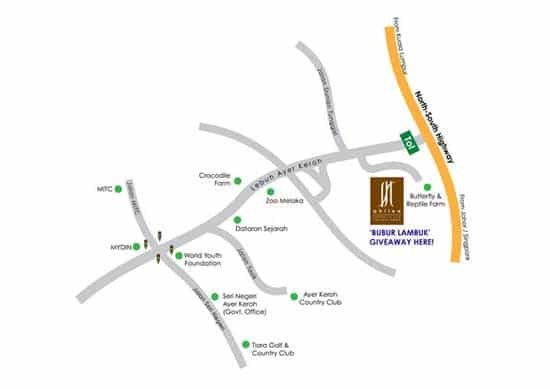 The exclusive Ramadhan Buffet at Philea Resort. 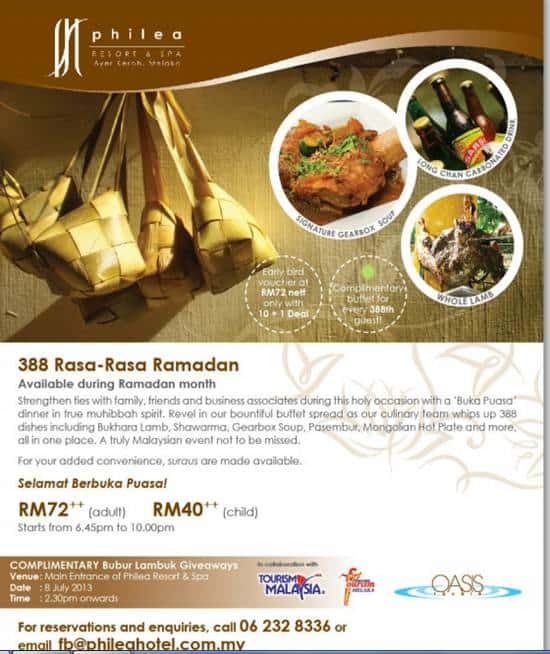 The absolutely high class for family, friends and business association to break fast in Melaka. 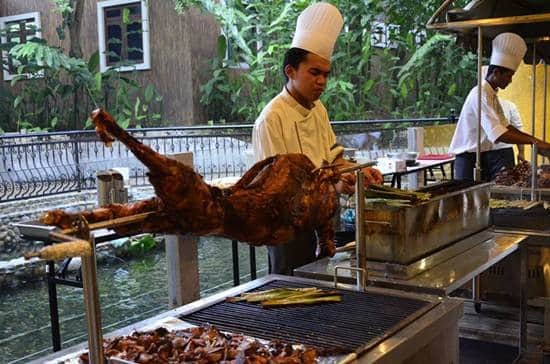 Philea Resort served 388 dishes including Bukhara Lamb, Shawarma, Gearbox Soup, Pasembur, Mongolian Hot Plate and many more international and local dishes. The price is a bit expensive but I think it will be worthy. If you buy in group, for a group of 10 customers, you get one free. 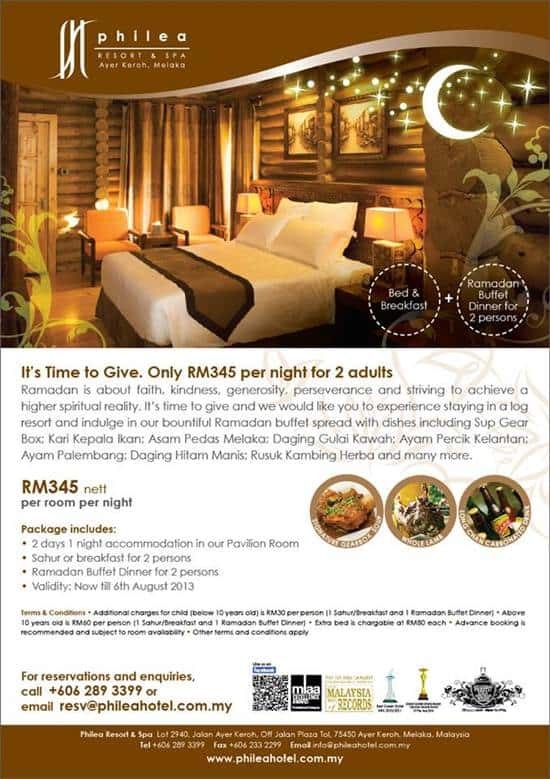 Philea Resort and Spa also offer accommodation package for RM345 nett per night inclusive of sahur and Ramadhan Buffet Dinner for 2 person.